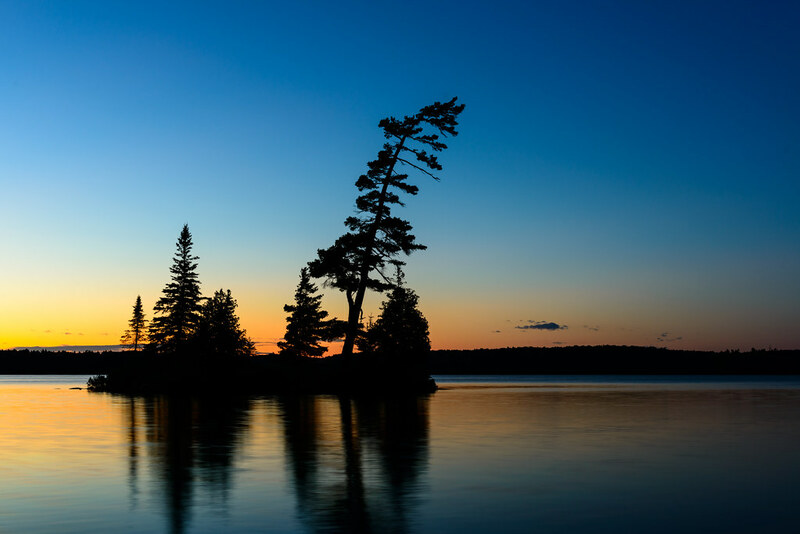 The view from my tent as the sun began to set on McIntosh Lake in Algonquin Park. This was a wonderfully quiet scene to sit and relax with my coffee & Bailey’s. "Waterfront view, 1 bedroom with boat access". 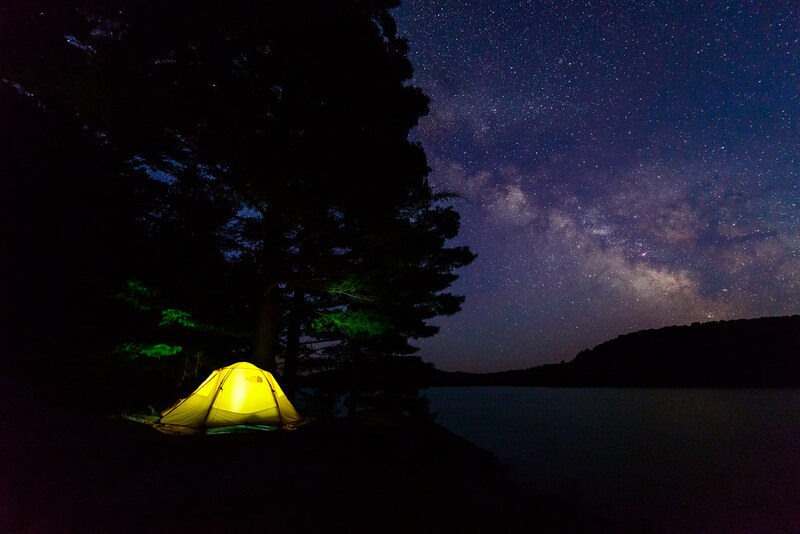 This was the view from my tent on Macintosh Lake in Algonquin Provincial Park a couple weeks ago. Better than any hotel room, anywhere. That’s one hell of a portage…. This portage sign in the middle of Grassy Bay does not actually mean what it appears to. 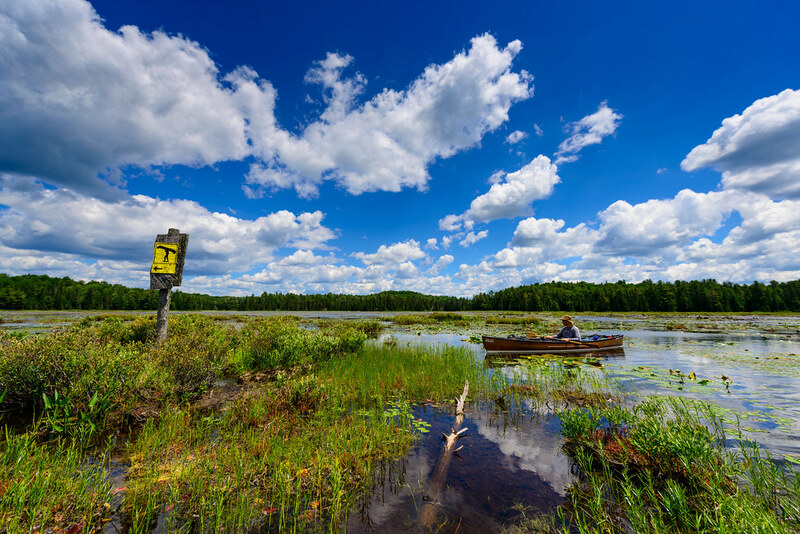 The sign sits among hundreds of metres of swamp and lake in all directions so getting out of the canoe here is not recommended. It actually directs paddlers to the exit for White Trout Lake is that-a-way. My friend Jeff is pictured in his solo pack canoe approaching the sign. 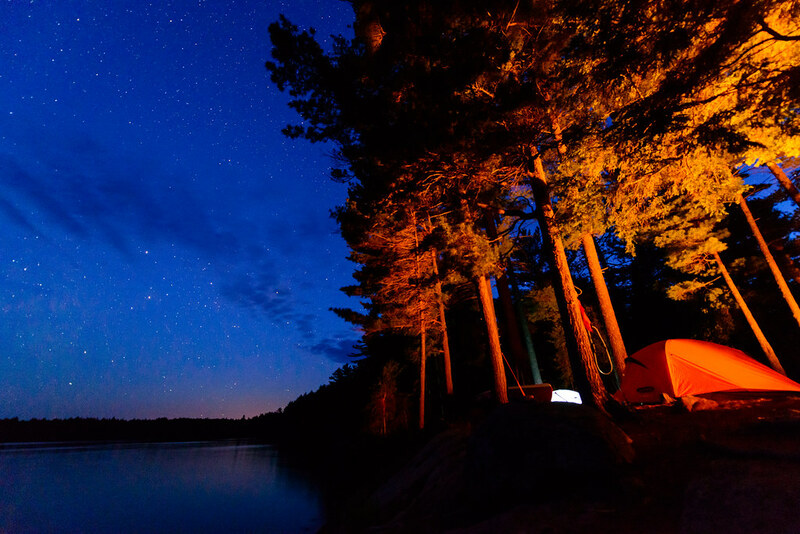 A view of my tent on Otterslide Lake on a July night. The Milky Way is visible rising over the lake to the south. 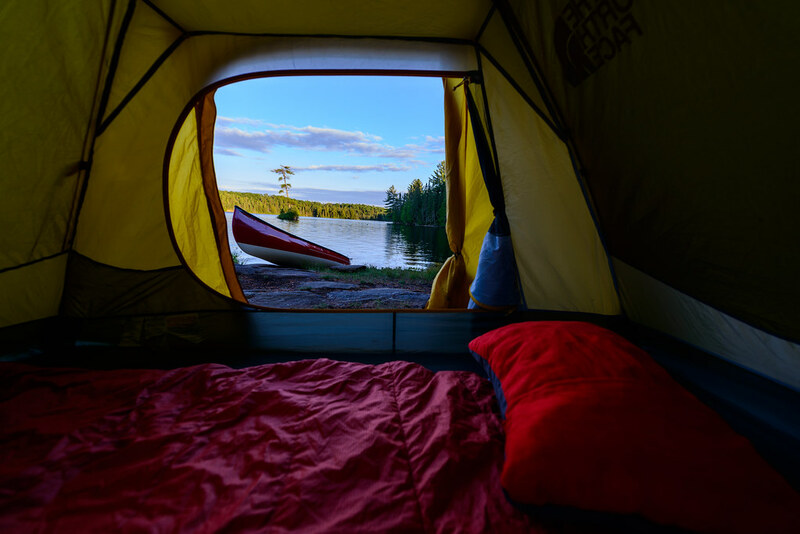 This is a view of our campsite on Big Trout Lake during our July Algonquin Park trip. 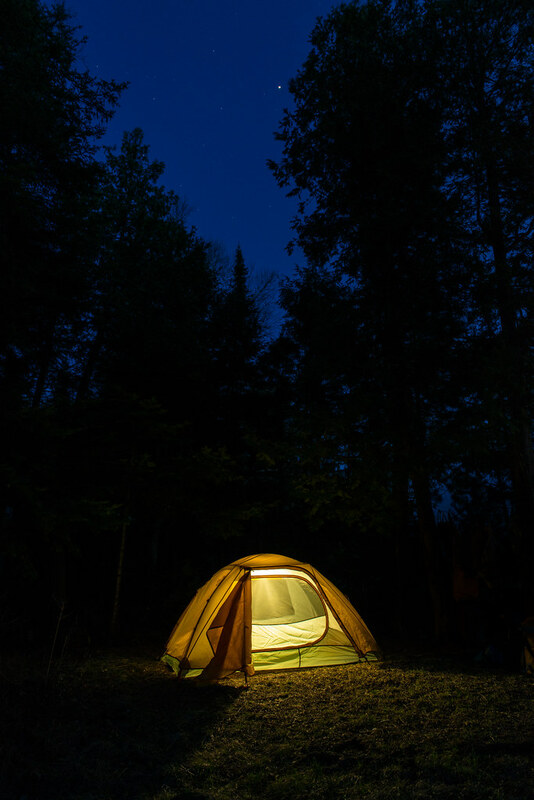 The white glow is Jeff’s MSR tent, and the orange glow is reflected from our camp fire. I’m looking west in this scene. This was my tent on Friday, May 6 at Pen Lake. This was our first canoe trip of 2016 and while it was "interesting" weather the outing was bug free. 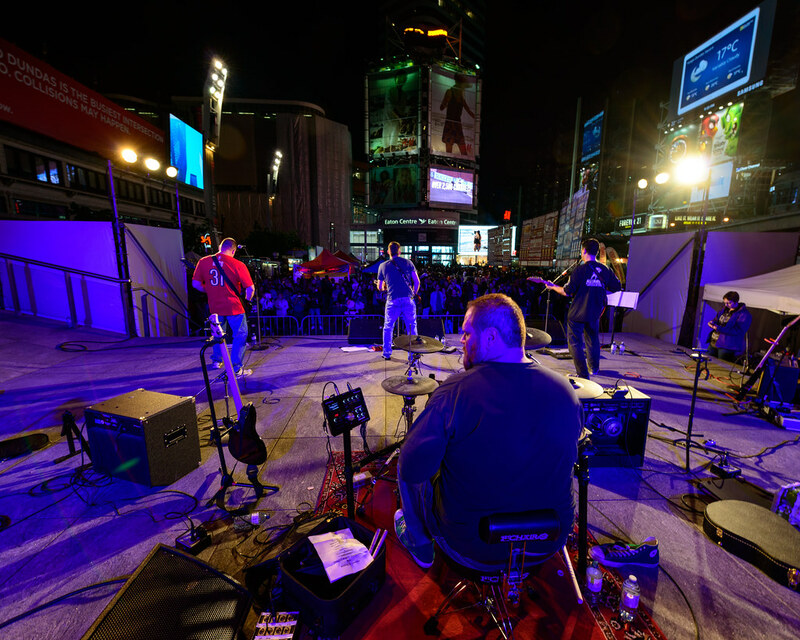 I can’t wait to get back out there. 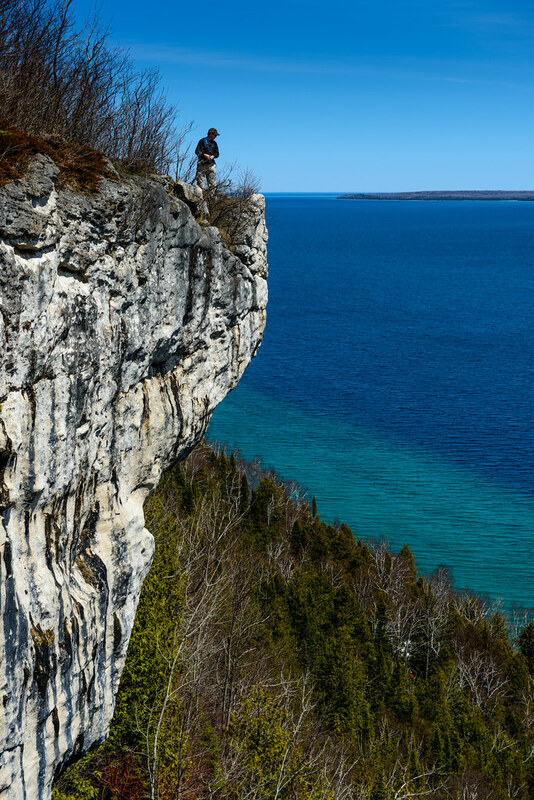 My friend Kelly stands on the cliff that is Dundas Cape, looking across Hope Bay while hiking on the Bruce Trail north of Wiarton. The Bruce Trail follows the Niagara Escarpment for 800 kilometres from Niagara to Tobermory. We’re about 150 kilometres from the north end of the trail here. 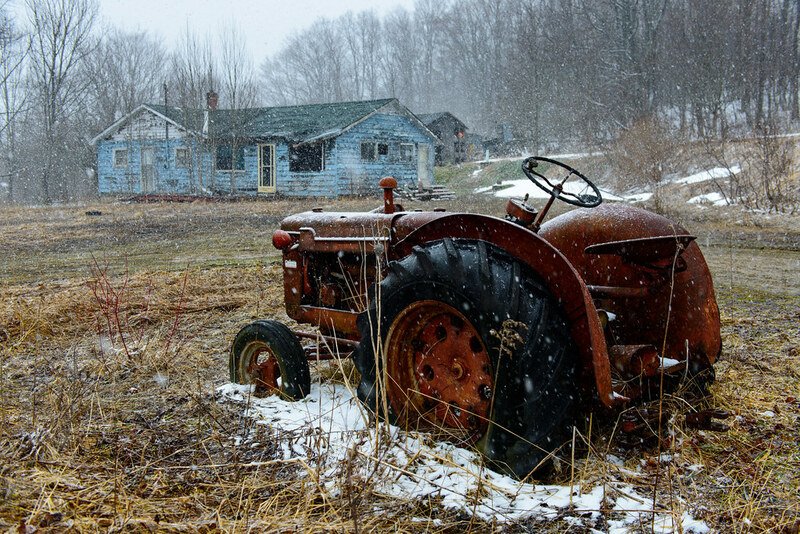 An old tractor and house on a property in a Nawash First Nation community along the Bruce Trail. Seen during a hike on a snowy spring day.